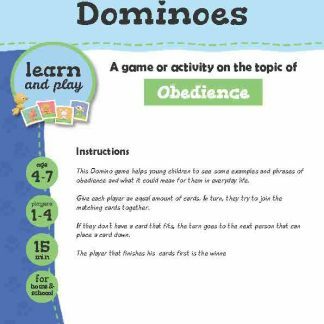 This Domino game helps young children to see some examples and phrases of obedience and what it could mean for them in everyday life. Give each player an equal amount of cards. In turn, they try to join the matching cards together. 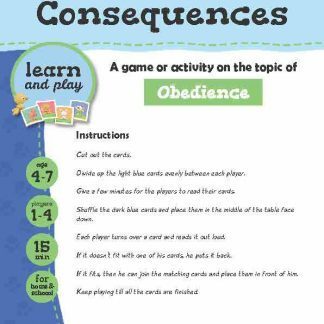 If they don’t have a card that fits, the turn goes to the next person that can place a card down. 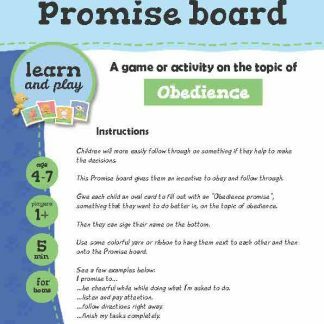 The player that finishes his cards first is the winner.